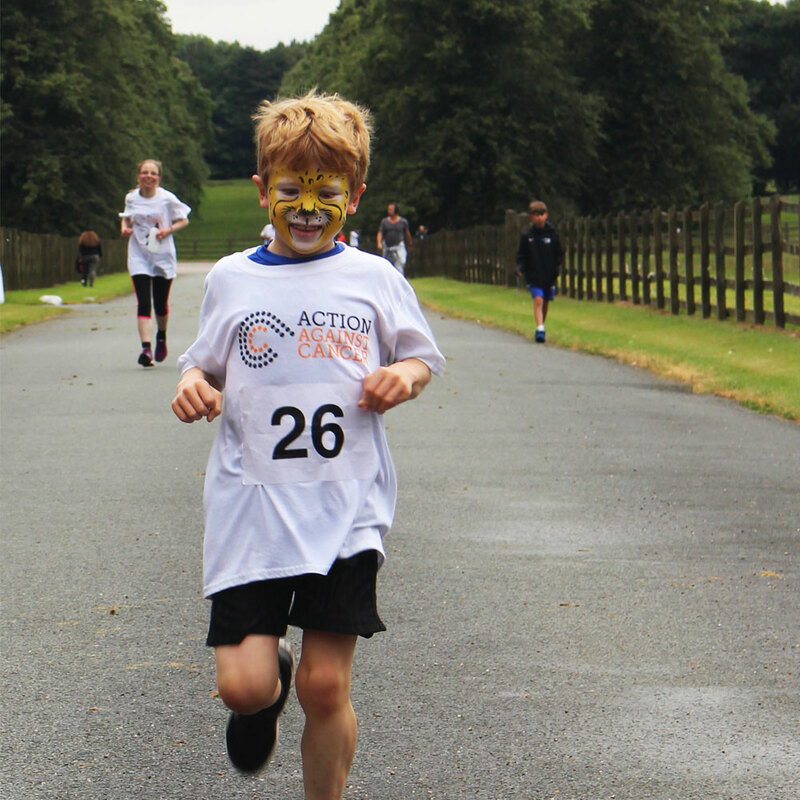 The second AAC 5K Challenge was a wonderful day with smiles all round! 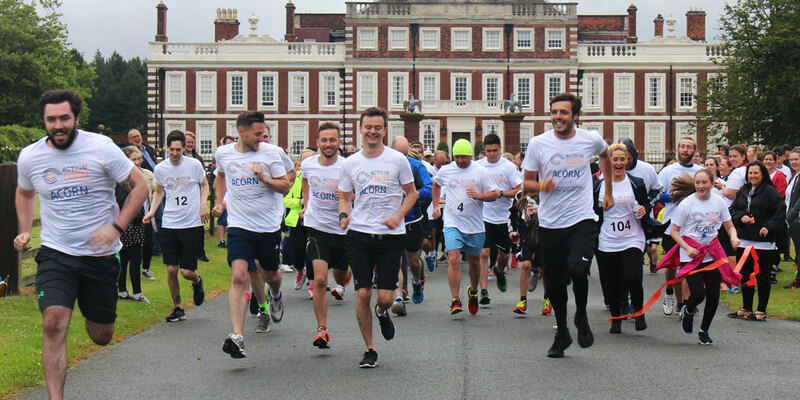 More than 200 people enjoyed the event in the beautiful grounds of Knowsley Hall in Merseyside, with thanks to Lord and Lady Derby. Amazingly the runner to break through the orange finishing ribbon did so in under 25 minutes! There was a flurry of other light-footed participants hot on his heels. Others took a gentler pace enjoying the views of woodland, sheep, horses and pheasants. Once everyone had made their way round the course, it was time for a tasty and healthy lunch served by Uber Tuber up at the marquee, serenaded by the fabulous Blackley Band playing some classic tunes. The auction was a lively affair with Wille Miller delivering some great one liners to keep the guests laughing while the bids rolled in, for prizes including a holiday at Lake Como and signed premiership football memorabilia. A lady with her face painted like a tiger pulled the winning raffle ticket, for the participant who was lucky enough to take home a bottle of Perrier-Jouet champagne! The children also clearly enjoyed getting their faces painted and watching Circus Frank performing his fabulous show. Hardly any plates spun off their sticks even when the children got stuck in! To round off a lovely day, guests were able to take a free tour of the world famous Knowsley Safari Park. Enormous thanks to all of the sponsors who made the day possible, and to everyone who came along and made it a memorable occasion – the highlight of the year at Action Against Cancer. Every penny raised in sponsorship and given in donations will make a difference in developing cures for cancer. Thank you very much.